It was cheesy, but damn I just imagined the megaman 2 music playing during it. Awesone. And the money keeps coming. I read about this a few hours ago. This is going to be the most successful Kickstarter to date. Is it wrong that I feel like they should be earning more than they already have by now?I seriously thought they'd have no trouble reaching the 3 million mark, but now I'm not sure. Would be really nice if they at least get the online co-op mode in there by the end. 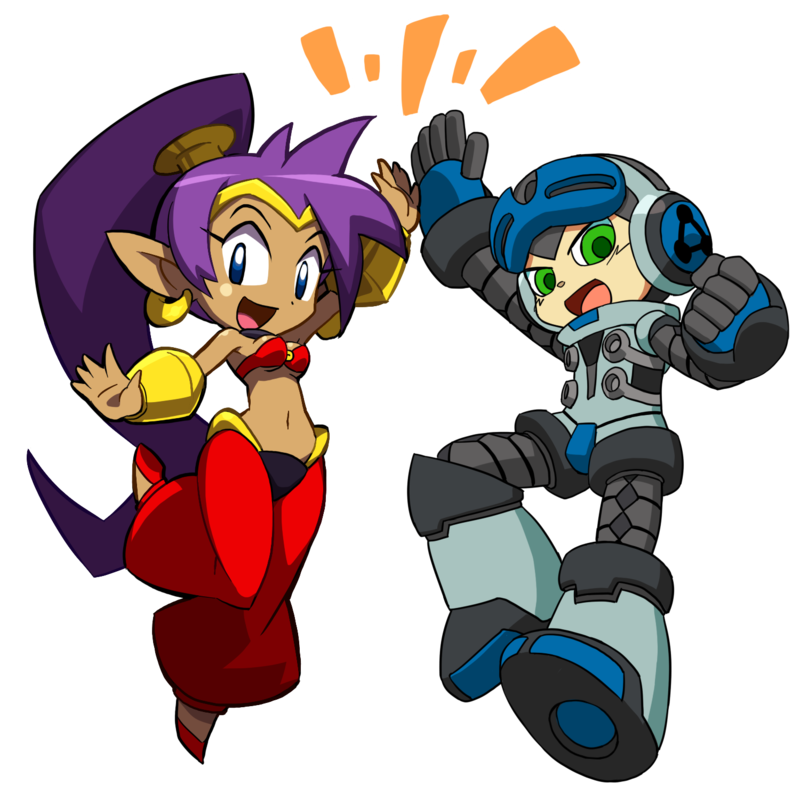 A nice picture that unfortunately doesn't make up for the fact that this Kickstarter threw Shantae's Kickstarter under the bus. At least for games (there are other projects that raised more) there's a long way for it to go to reach Torment's total of over $4m. Shantae will make it, there's still two weeks left and it's only $45,000 short of the total needed. It might even make the first stretch goal. Maybe not the most successful but definitively top 10. Sort of ironic that the Ouya was such a successful Kickstarter. I would recommend everyone here to watch the video linked in the article. Would be really nice if they at least get the online co-op mode in there by the end. Yeah getting the online co-op mode would really cool but I'm also wishing for those PS4 and Xbox One versions that right now I don't think are gonna happen. It looks like the pledging is starting to slow down, immensely. I'm just glad that console versions are now happening as this game is worth a purchase on said devices. They've hit the extra stage goal. Just 200k more until Online Co-Op. Can they make it? $3,500,000: PlayStation Vita and 3DS versions! We spent the last few weeks running the numbers and talking with various companies to make certain we could not only deliver great handheld versions of Mighty No. 9, but do it for a price that we could set with confidence. Luckily, we found a great potential partner in Abstraction Games -- the team that recently brought Hotline Miami to PS platforms. If we can hit our stretch goal, they are all set to dive in and handle porting Mighty No. 9 to these handhelds!